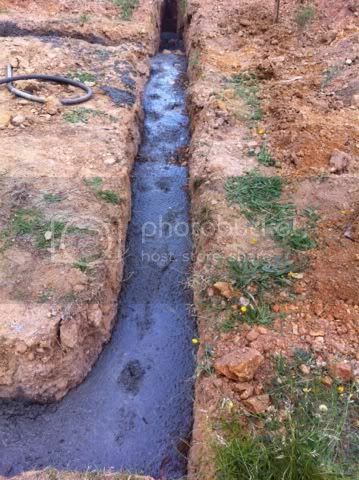 So with the container sorted, it was time to move on to the garage slab trenches. As above, the western perimeter is on fill so the trenches have to be sunk down to firm ground, which is 1800mm on the longest 18m trench. Again, bobcat/backhoe to the rescue. It’s surprisingly hard to dig in a straight line, even with paint and string line guiding the way. Not only that, but this backhoe has obviously done some work in its time and has quite a bit of slop, and it tends to dig trenches which lean over on a 10º angle! ”That’s good, they’re keyed into the hillside” was how they were described to me.. that’s optimistic IMHO, but I’ll take it! In any case, it got the job done. 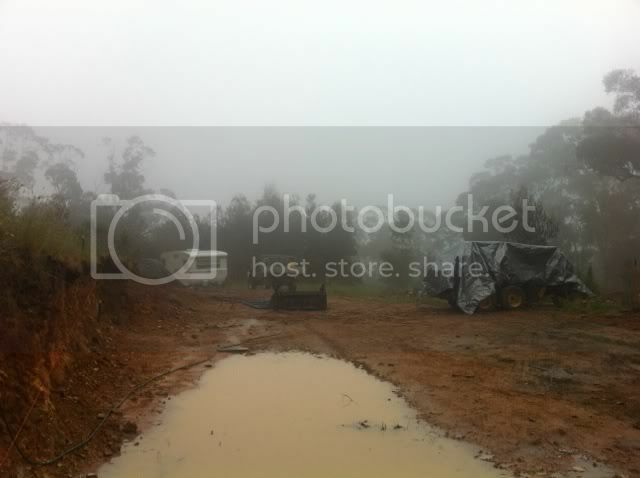 The only problem was that the day after I finished the trenches (and took that photo), it rained. A LOT. In the end though we ended up with a pretty good result, and the building inspector was happy which is very important! So then with the red tape out of the way, we could fill the holes with concrete. This bit happened yesterday. 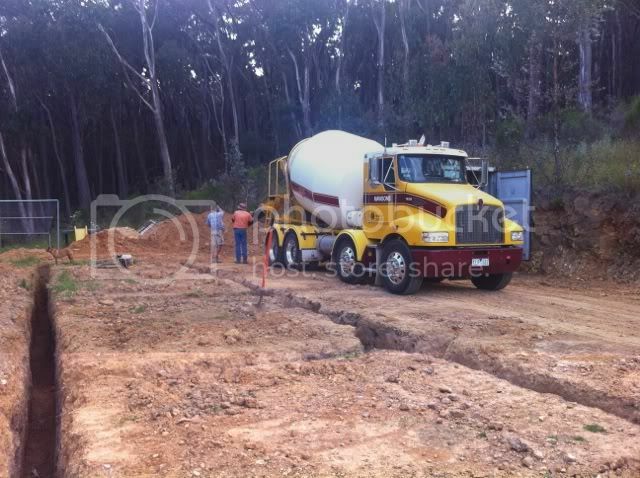 A total of 20.8m3 of concrete, all just dumped in the ground to make rock. 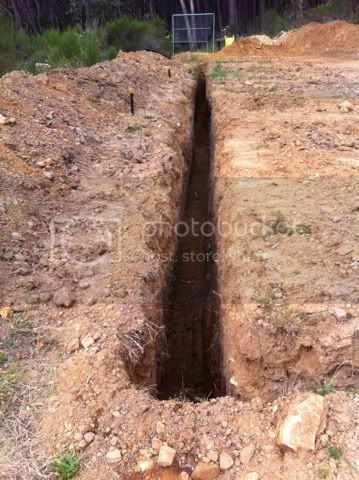 Next, I need to dig the rest of the trenches for the other rib and perimeter trenches, then we can form up and pour the slab. Weather permitting, we’ll be having a slab warming on Australia Day!